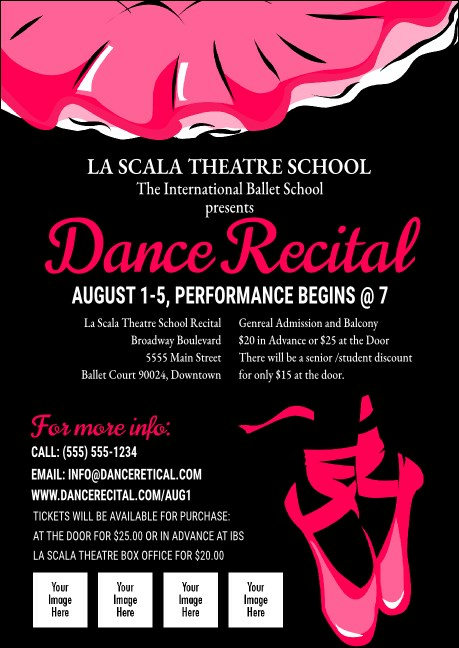 Nail your pre-event promotions routine when you send out Dance Recital Postcards to each person on your guest list. These bright pink and black Postcard templates have space to include four of your own images next to a pair of pointed ballet slippers. Set the stage for your dance school’s performance in advance! Don’t let your guests miss a step! Advertise in advance with Postcards from TicketPrinting.com.